Everyone always talks about how the book is ‘so much better’ than its film adaptation, but in all honesty I never realised that the iconic film The Princess Bride was a book. 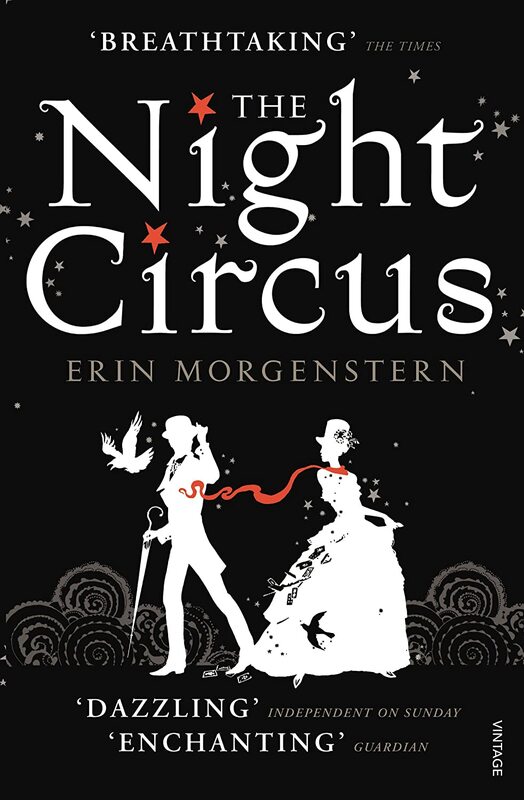 Originally written by Morgenstern, this text was later abridged by William Goldsmith and I have to say that seeing the film first didn’t spoil my reading of the book at all. The Princess Bride is a satire, and a brilliant one at that. 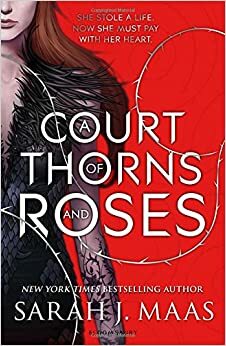 I seem to have entered a fairy-tale/fantasy splurge of reading, following on from The Night Circus and A Court of Thorns and Roses, so you can tell that they are my favourite genres. Beautiful, flaxen-haired Buttercup has fallen for Westley, the farm boy, and when he departs to make his fortune, she vows never to love another. So when she hears that his ship has been captured by the Dread Pirate Roberts – who never leaves survivors – her heart is broken. But her charms draw the attention of the relentless Prince Humperdinck who wants a wife and will go to any lengths to have Buttercup. So starts a fairytale like no other, of fencing, fighting, torture, poison, true love, hate, revenge, giants, hunters, bad men, good men, beautifulest ladies, snakes, spiders, beasts, chases, escapes, lies, truths, passion and miracles. I find it ridiculous that someone could read this book and not laugh, grow teary eyed or even a little nostalgic. A relative who hadn’t heard of this book or it’s film counterpart didn’t understand, their eyebrows practically merged with their hairline at the blurb depicting a tale about a girl called Buttercup in love with her farm boy whom she loses to a pirate. I mean, come on! This tale is just such a – excuse my French – piss-take of every fairy tale you’ve ever seen. Not only that, but it just has everything: romance, adventure, action, giants, fencing, torture-chambers, giant rodents and more. So why read the abridged version some of you may ask? Well, for a start, it’s a hell of a lot shorter than the original. Goldsmith writes throughout the narrative in his own voice, marked by italics, to either comment on Morganstern’s technique or explain why he’s missed out a large chunk of the original. I found his side-notes and introduction actually quite wonderful, as if you were reading alongside someone who was ready to tell you some more of the context or say something witty. They were light interludes between action-packed scenes, and also incredibly interesting. For example, one comment explains that he doesn’t include pages and pages of the original due to reasons like it is all to do with packing. Can you imagine? Pages and pages of just reading someone packing every item they own and then unpacking it all again? As Vizzini might say, inconceivable! For those who are more culturally aware of this book, you might be wondering what the point is of reading this abridged book when you’ve already seen – and adored – the film. Yes, there are scenes that are so recognisable such as the Cliffs of Insanity or the Fire Swamp, with the famous lines like ‘As you Wish’ or ‘Hello. My name is Inigo Montoya. You killed my father, prepare to die’. I have to say, as a lover of the film, I didn’t think the book would top it – but it does. It has those fantastic lines and scenes, but it has even more! There are small context points that you never see in the film, for example you get the background tales from Fezzik and Inigo. If you didn’t think you could love these characters more, you’re completely wrong. I’d recommend this book in a heartbeat for lovers of the film and anyone up for a fantastic, hilarious fairy tale satire. The ridiculous lines, the exaggerated scenes and oversize rats just make this tale what it is: a beautiful piece of literature. I just don’t understand how you can’t love it. Or that may be because you’re not the action, adventure, hilarious, awesome type. Please, just go read it! So let me know what you think – whether you’ve read the book, the film or neither and if you plan to read it in the future! I’d love to hear your comments, and even recommendations for books to read (even though my to-be-read pile is growing every day).